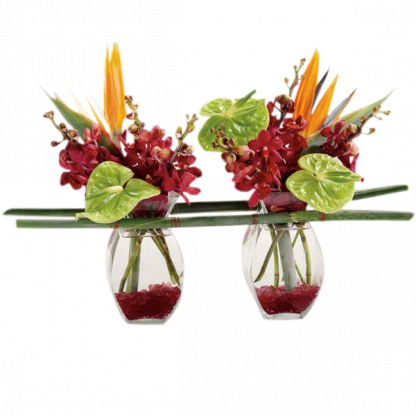 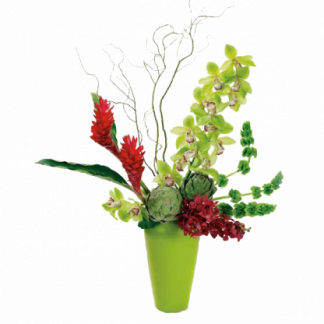 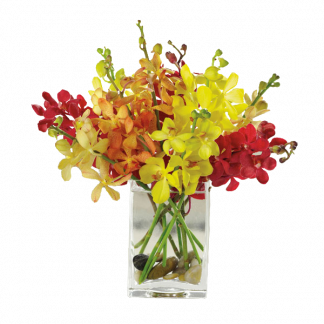 The tropical colors are re-created in the Tropical Celebration floral arrangement. 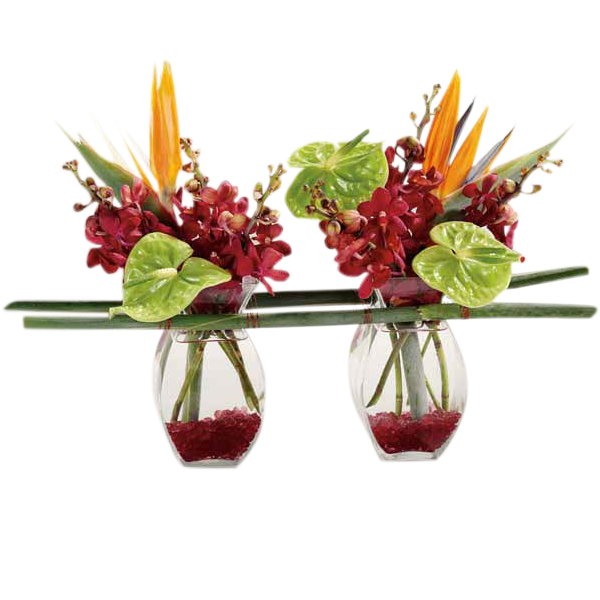 It consists of Bird of Paradise, orchids, and anthurium. 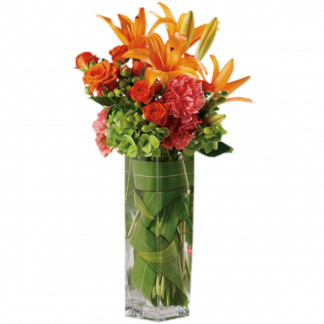 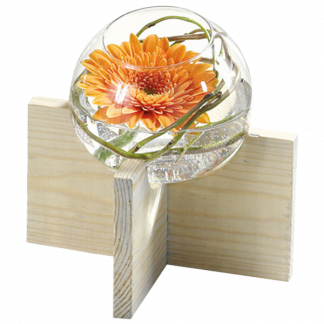 The flowers are arranged in a double vase connected with lucky bamboo.